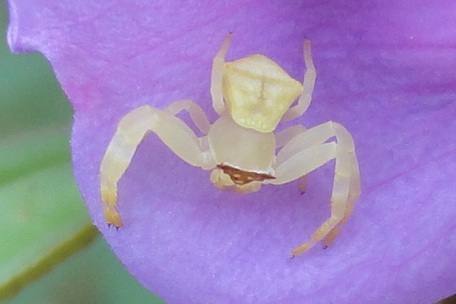 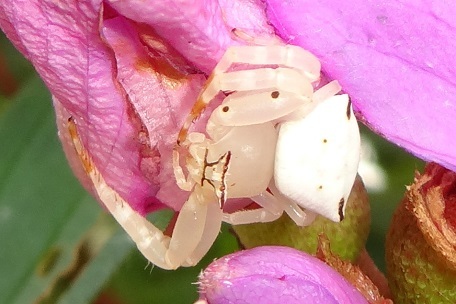 White crab spiders are great hunters. 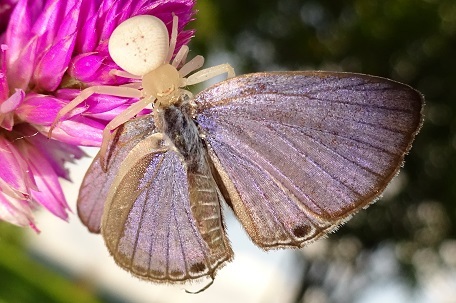 The spider tends to harbour at location where its body colour merges well with that of the surrounding environment where it then stays dormant until a prey comes by. 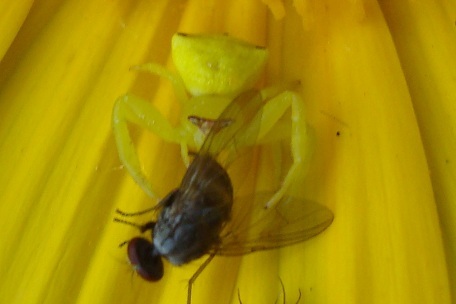 From field observation as shown in the pictures below, the spider appears to be very successful in catching its prey. 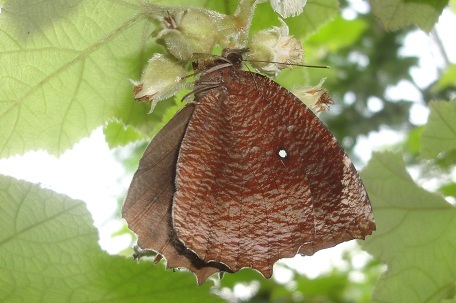 The largest prey that I had seen from its catch was this butterfly, Elymnias hypermnestra agina (Common Palmfly). 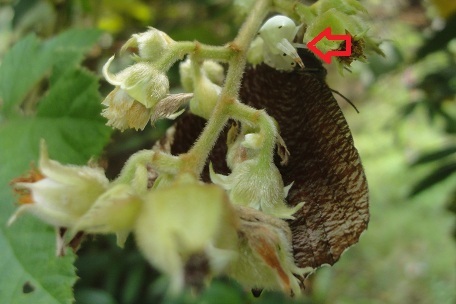 The butterfly remained motionless under a Wild Raspberry vine (Rubus moluccanus) even when I approached close to it. 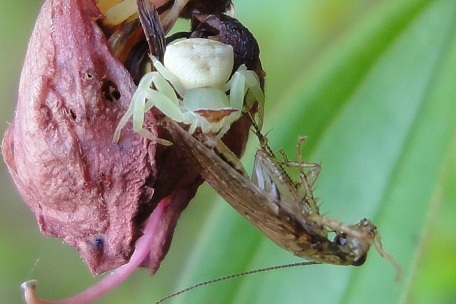 This made me suspect that it was dead and its body was being held on by some creatures. 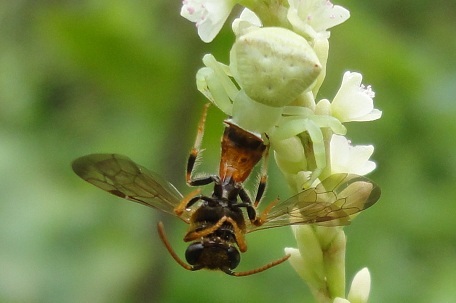 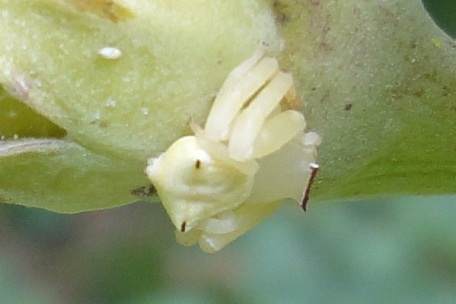 Are you able to locate the small white crab spider at the top of the picture below (the one on the right)? 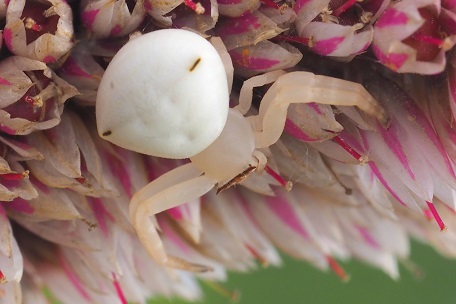 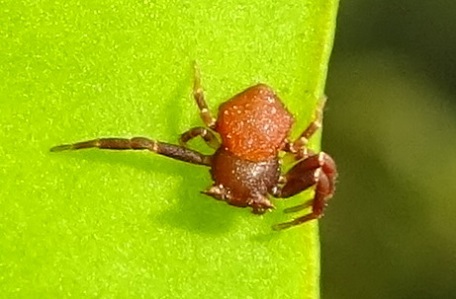 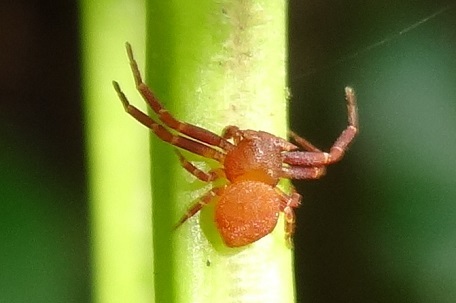 Although it was long believed that the colour-matching mechanism of the crab spider and its surrounding is the most critical ability to allow it to catch its prey, this mechanism may not be the most critical one based on the research by Llandres and Rodriguez-Girones (2011). 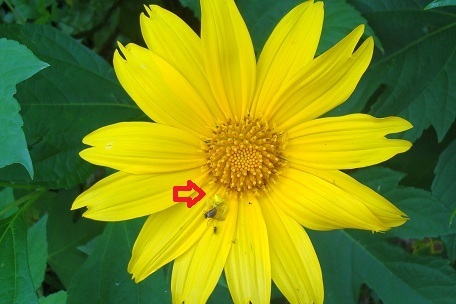 Below is the yellow form of the crab spider ---- can you find it on the flower of the Marigold Tree (Tithonia diversifolia) on the left? 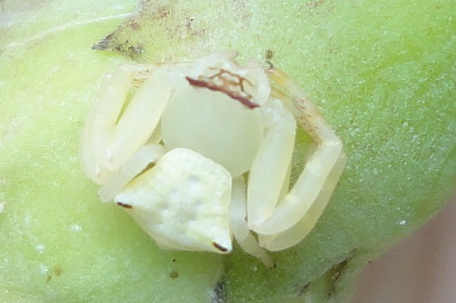 If not, the picture on the right shows the close-up view of the spider. 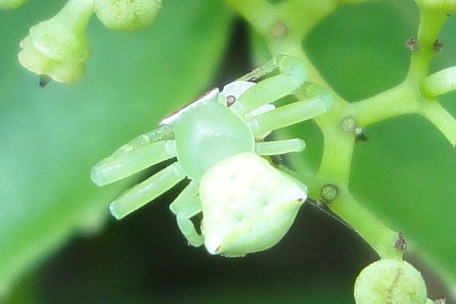 This crab spider has a light green colour body. 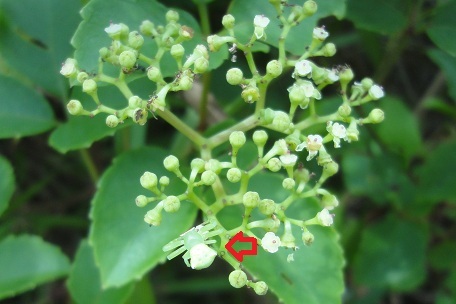 The colour merged rather well with the flowering bundle of the Fox Grape (Cayratia trifolia).